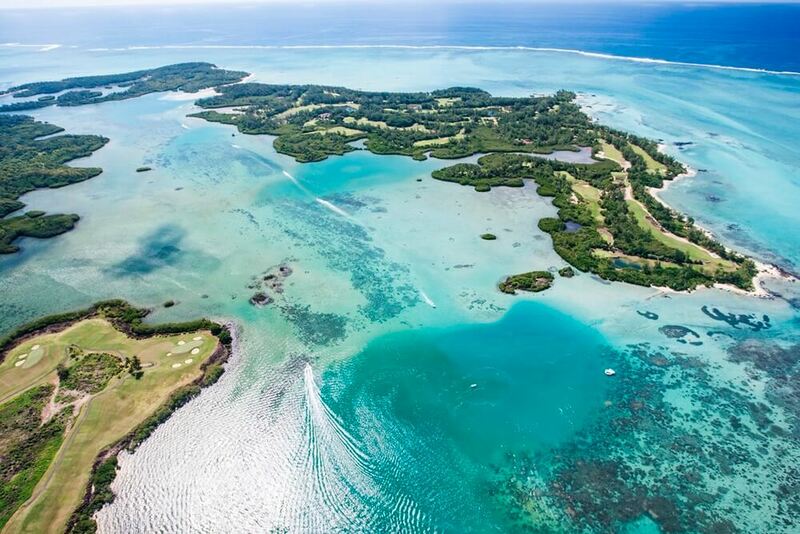 We’re just back from a wonderful and inspiring trip to Mauritius. 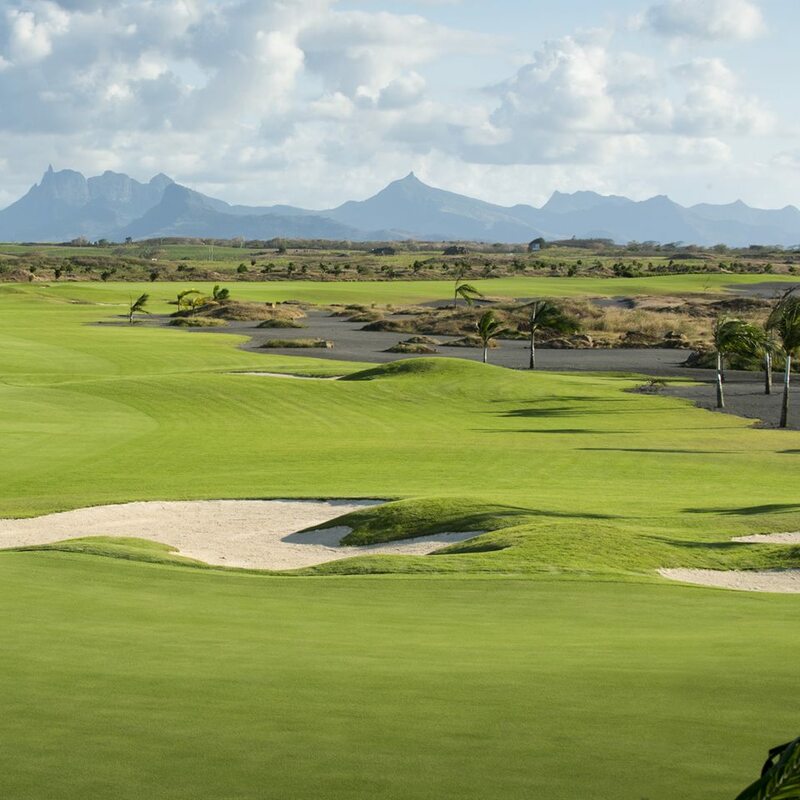 It was a bit like in a picture book: endless sandy beaches, turquoise water, palm trees, fantastic hotels and great conditions for golfing. 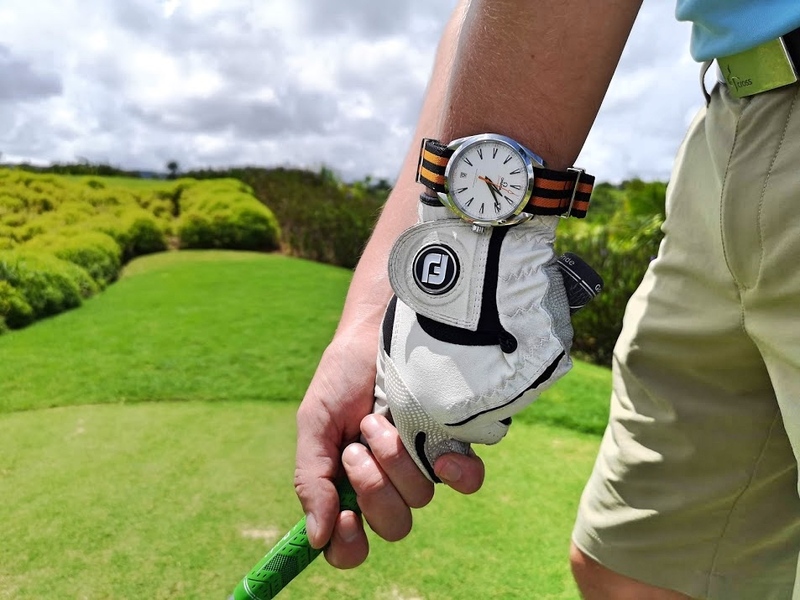 We used our time to play and rate our top 5 golf courses on Mauritius. The island is located about 1800 km east of the African continent and has with about 2000 km2 approximately the area of Luxembourg. 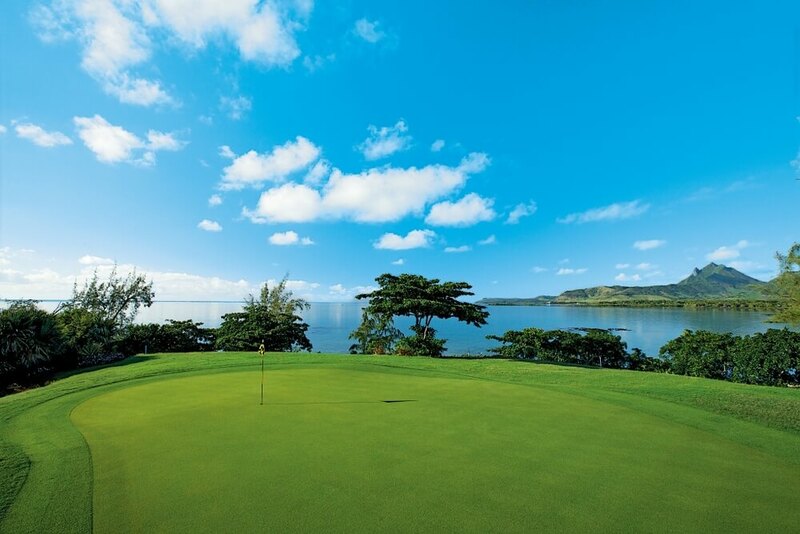 Accordingly, Mauritius is a relatively small island, the golf courses on Mauritius can all be reached within a day trip (round trip). 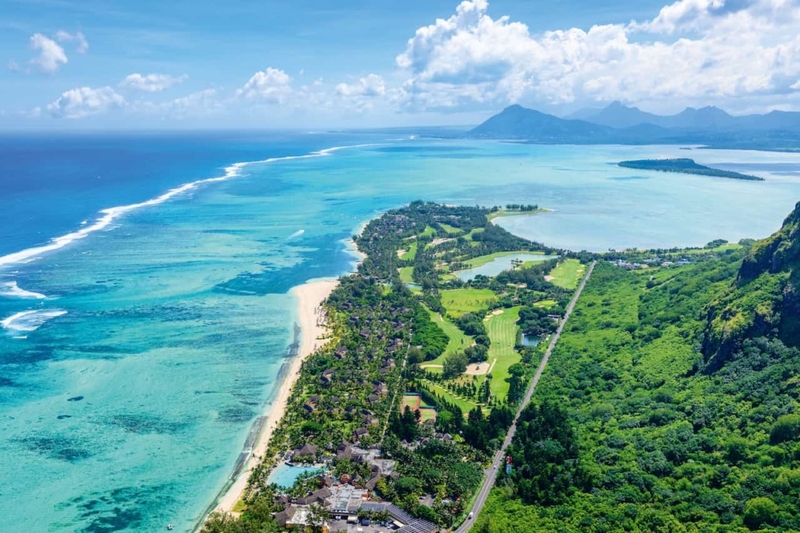 Basically, Mauritius can be visited all year round. We were on the island from the beginning until the middle of December, it was not brooding hot but a little windy and cloudy from time to time, which from our point of view are perfect conditions for golfing. From November – April it is summer time, it is about 30 degrees hot and with 80 – 90% humidity very humid. 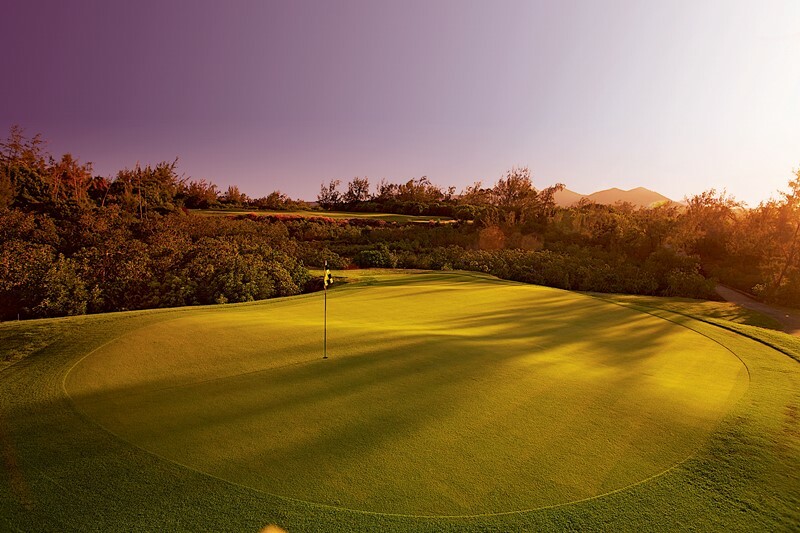 The island is not without reason a popular travel destination for golfers, one finds the ideal conditions and great golf courses on Mauritius. We have played and rated our 5 favourites. 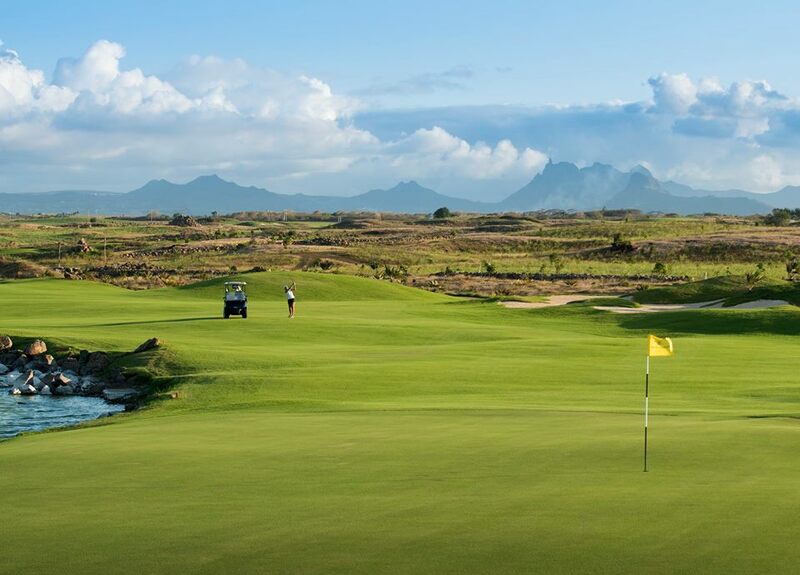 Pretty much all of the golf courses on Mauritius cost around EUR 170 for 18 holes including a buggy. 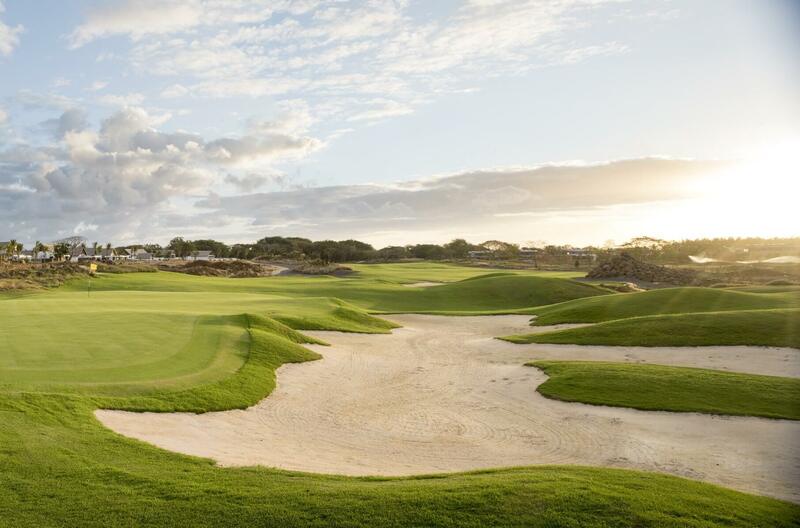 Depending on the hotel, there are agreements with the courses to be able to play at a reduced price. 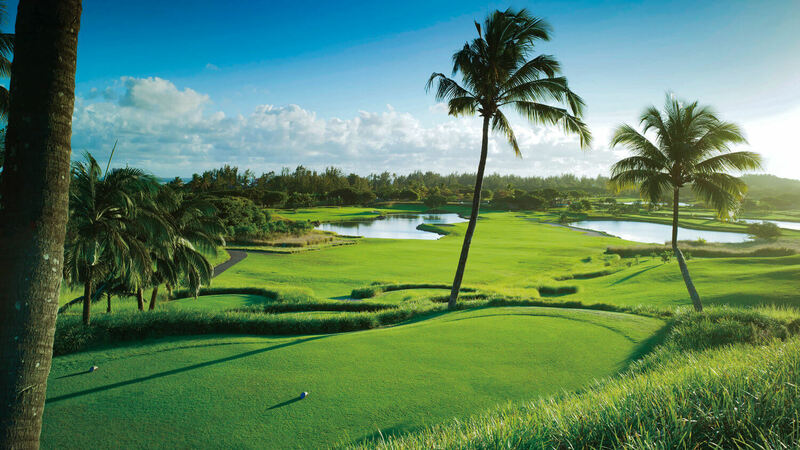 The Beachcomber Resorts are ideal for a golf trip, see our travel article for more information. 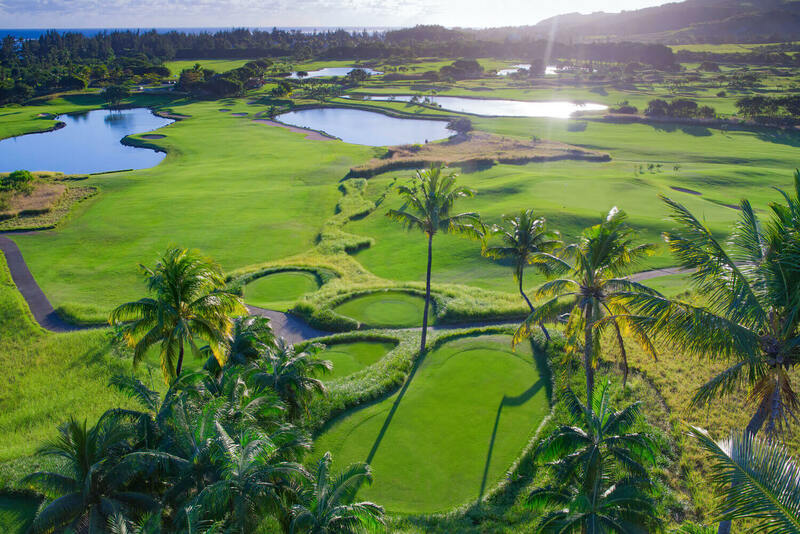 The golf course belongs to the Beachcomber Dinarobin, has a picturesque landscape, beautiful palm trees and is situated directly at the sea. 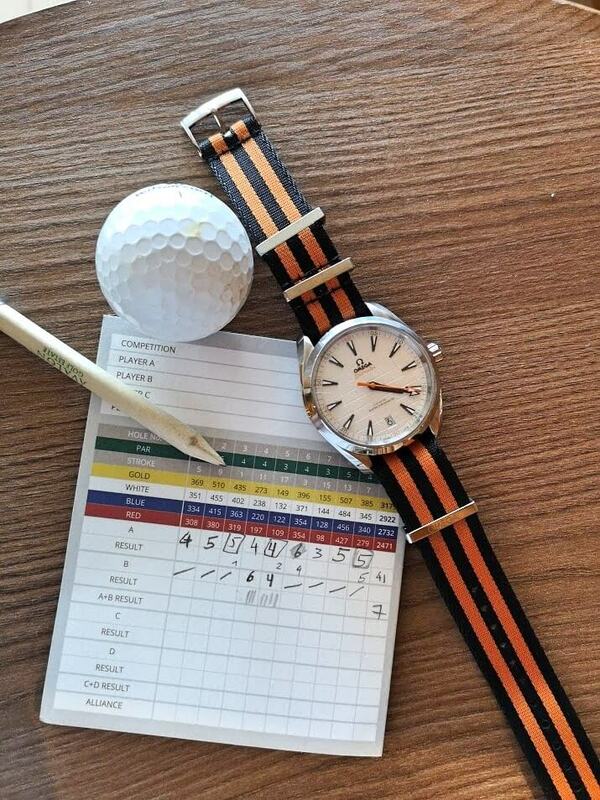 The hotel offers the service that the golf cart is delivered to the hotel room directly before tee time. 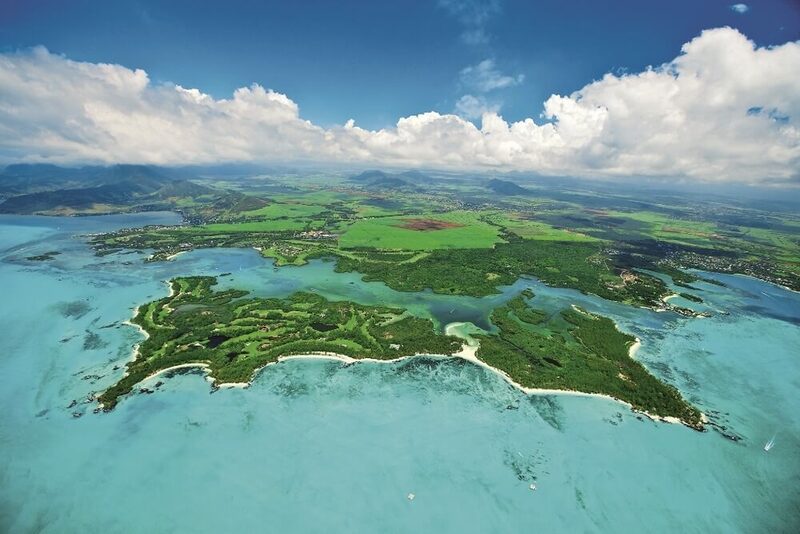 A highlight on our trip and definitely worth a visit – an island just for the golf course. Transport by taxi or shuttle to the parking lot, then we go by boat to the island. An ideal place for beginners, still new and yet already very well embedded in nature. New place, may still grow a little into nature. Wonderful view of the sea. 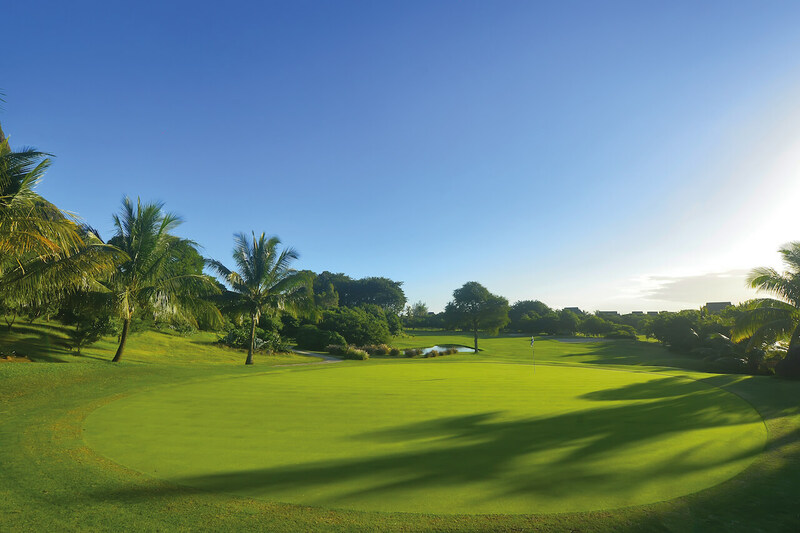 Avalon is an 18-hole golf course in Mauritius, which covers about 275 hectares of land. 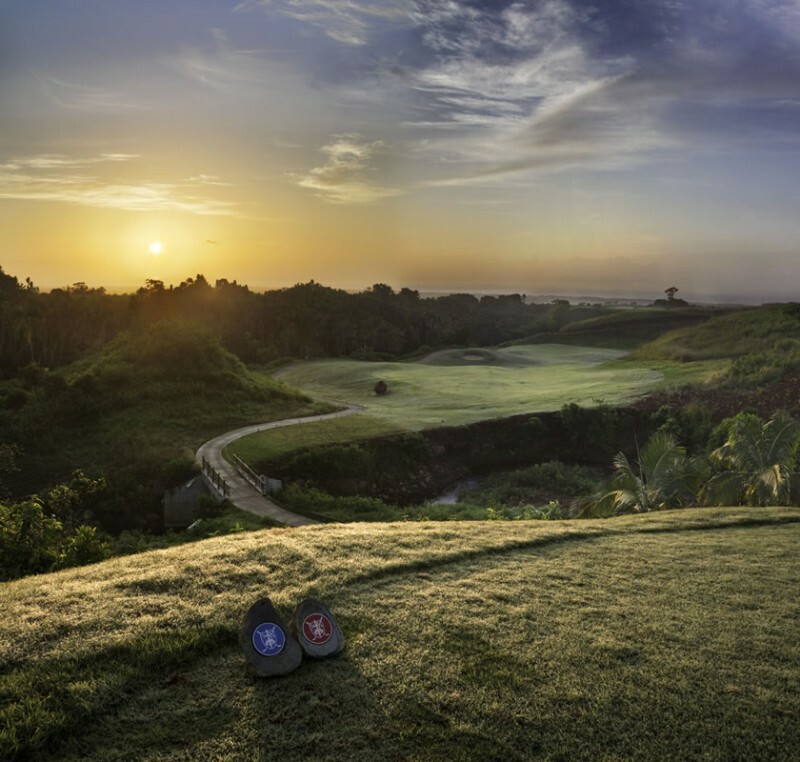 The natural contours and waves of the golf course not only enhance the course, but also lend it character. 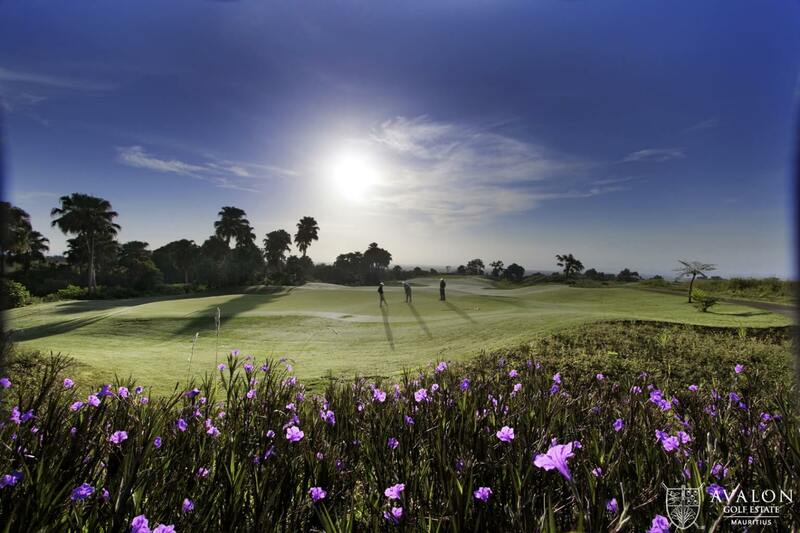 The Heritage Golf Club is a multiple award-winning championship golf course. 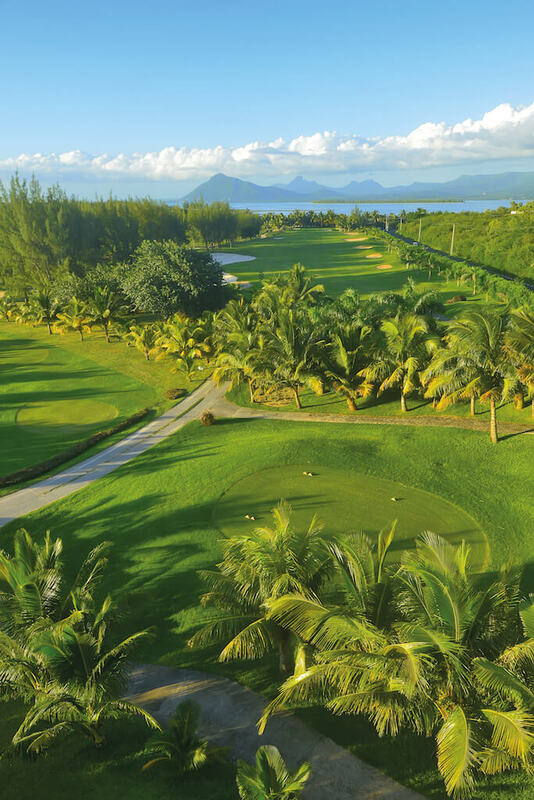 Located in the southern part of the beautiful island of Mauritius, the course lies on an idyllic piece of land between gentle mountains and the turquoise lagoon of the Indian Ocean.